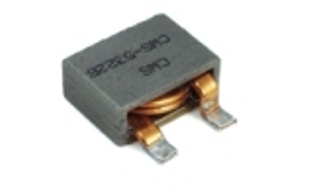 These 30 Amps, 50 Amps, 60 Amps and 80 Amps surface mount high current inductors are the highest current in the industry with this small form factor. These inductors are wound using a flat helix wire on High Flux and MPP (Molypermalloy) cores to achieve minimum core loss and highest efficiency. The saturation flux density of these inductors is over 10000 gauss ( 1000 mT). The windings are CWS proprietary flat coil with 2.4 mm width and insulated with 250 °C kapton material. These high current inductors measure 0.38" x 0.52" with a height of 0.21". The inductance is 0.3 uH to 2.0 uH. 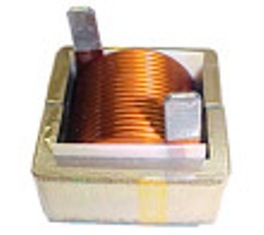 Please click on the link above to for more details on these inductors.